Gingivitis is the mildest form of periodontal disease. 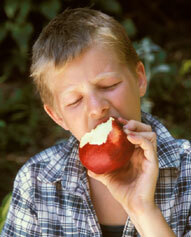 It causes the gums to become red, swollen, and bleed easily. There is usually no discomfort at this stage. Gingivitis is most often caused by inadequate oral hygiene. Gingivitis is reversible with good oral home care. Many factors may contribute to gingivitis. These can include diabetes, smoking, aging, genetic predisposition, systemic diseases, stress, poor nutrition, puberty, hormonal fluctuations, pregnancy, HIV, and certain medications.